2 關於西方人類學發展與攝影之間的關係，及其歷史的討論，見Elizabrth Edwards ed. 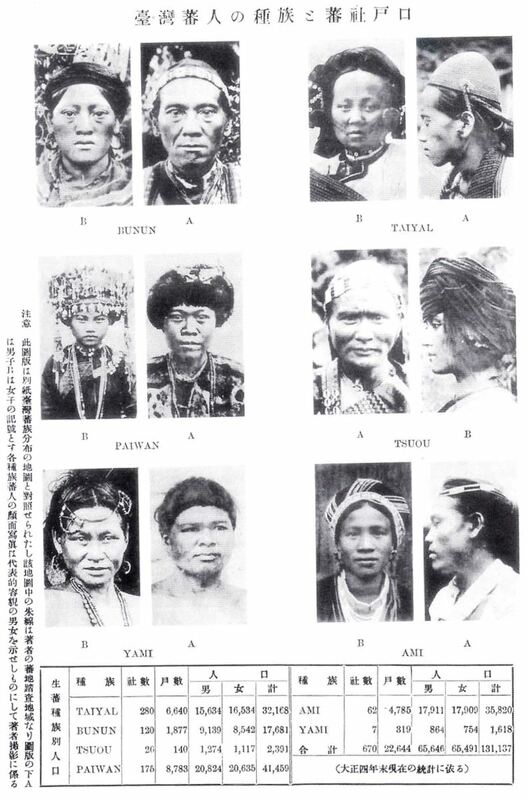 Anthropology and Photography, 1860-1920, (New Haven and London: Yale University Press in Association with The Royal Anthropological Institute, 1992)，Elizabrth Edwards, “Anthropology and Photography: A Long History of Knowledge and Affect,” Photographies, 8(3)(2015): 235-252. Christopher Morton and Elizabeth Edwards ed. Photography, Anthropology and History: Expanding the Frame, (Surrey: Ashgate, 2009)，以及Christopher Pinney, Photography and Anthropology, (London: Reaktion Books, 2011).攝影作為一種再現技術與近代性以及國家的關係，見John Tagg, The Burden of Representation: Essays on Photographies and Histories, (London: The MacMillan Press LTD,1988). 4 從東京人類學會創會初期，坪井正五郎即充分運用各種影像再現的技術，包括素描、繪圖、以及攝影等，參見Inhye Kang, “Visual Technologies of Imperial Anthropology: Tsuboi Shogoro and Multiethnic Japanese Empire.” Positions 24(4): 761-787, 2016. 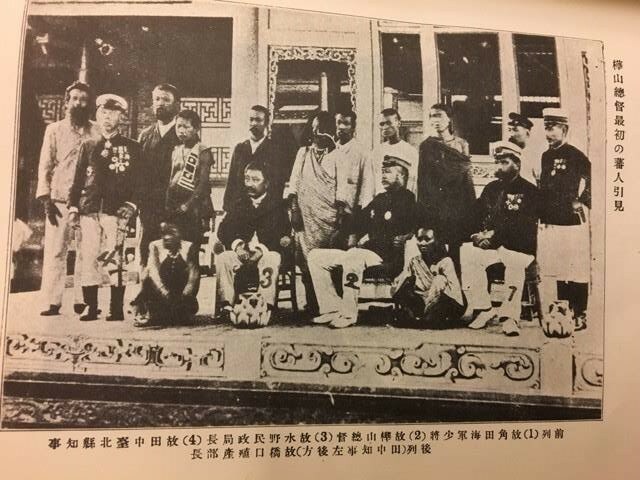 16 歷史的攝影（photography of history），意指對於歷史紀錄與歷史意識，宛如攝影一般，除了有其物質性外，也受到了攝影者的主觀視角，以及被攝者對象的存在狀態，乃至於兩者間的社會關係的影響。本文援用此概念呈現人類學知識與日治原住民影像檔案的複雜性。參見Eduardo Cadava, Words of Light: Theses on the Photography of History. Princeton: Princeton University Press. 1997. 26 Takekoshi, Yosaburo. Japanese Rule in Formosa, tr. by George Braithwaite. London: Longman, Green, and Co. 1907. pp210-233. 27 Government of Formosa. 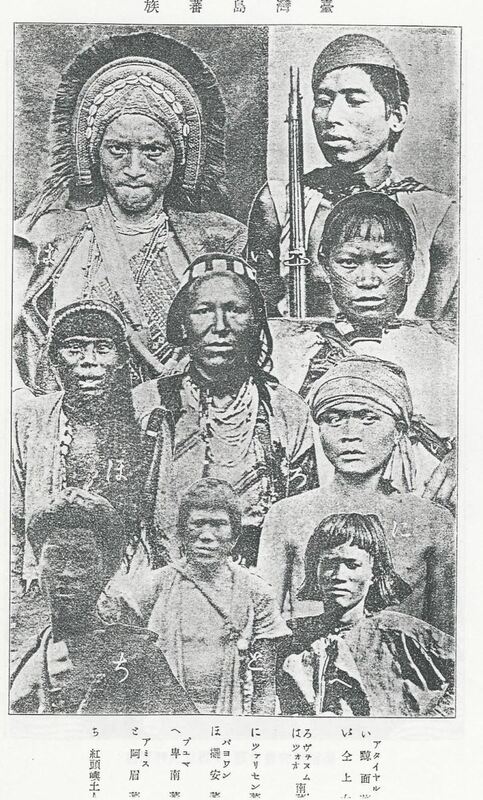 Report on the Control of the Aborigines in Formosa. Taihoku: Bureau of Aboriginal Affairs, Government of Formosa. 1911. 34 在人類學史上，使用民族誌影像建構人類學知識，進行人群分類，往往呈現了早期人類學發展階段時，與民族國家或殖民國家的統治之間的密切關係。見David Green, “Classified Subjects: Photography and Anthropology: The Technology of Power,” Ten-8 14(1984): 30-37. “Veins of Resemblance: Photography and Eugenics,” The Oxford Art Journal 7(2)(1985): 3-16. 35 Bruno Latour的「不可變的可移動體」（immutable mobiles），現象或物件被轉譯到不同脈絡中，在抽象化過程，轉變了存在方式的物件、現象等，以此不同脈絡中的事物，可以匯集在一起並被運算。見Bruno Latour,Science in Action: How to Follow Scientists and Engineers through society. Cambridge, Massachusetts: Harvard University Press, 1987. 37 Peter Pels, “The Construction of Ethnographic Occasions in Late Colonial Uluguru,” History and Anthropology 8(1-4)(1994): 321-351. 42 Bruno Latour的「計算中心」（center of calculation）概念，意指轉譯各地的脈絡中的物件、客體、現象等，匯集在一起變成數字、圖表、地圖、影像的知識生產中心，轉譯的方法常透過視覺化的策略實施。 見Latour, Bruno.“Visualisation and Cognition: Drawing Things Together.” Knowledge and Society: Studies in the Sociology of Culture and Present, 6 (1986): 1-40. 60 攝影術在西方或是非西方世界使用時，被當成魔術裝置或引發攝魂恐懼的事例，幾乎到處都有。西方世界的例子，見Lindsay Smith, The Politics of Focus: Women Children and Nineteenth-Century Photography. Manchester and New York: Manchester University Press, 2011. 南美洲，見Deborah Poole, Vision, Race and Modernity: A Visual Economy of the Andean Image World. Princeton, NJ: Princeton University Press, 1997. 印度，見Christopher Pinney, The Coming of Photography in India. London: The British Library, 2008. Barclay, Paul (2010). 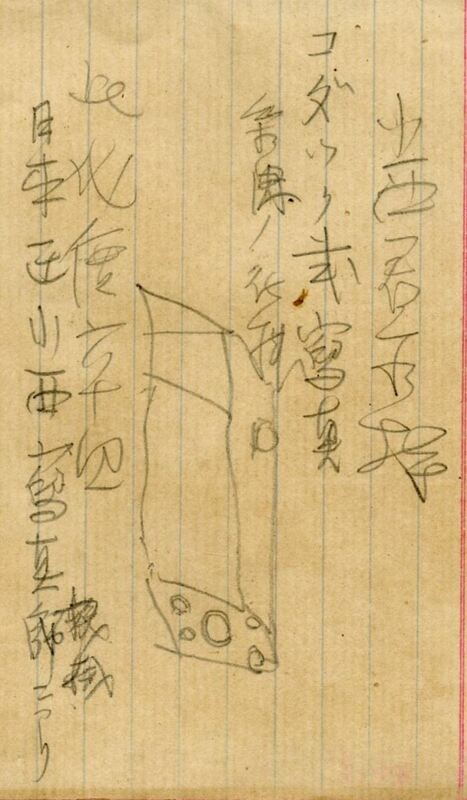 “Peddling Postcards and Selling Empire: Image-Making in Taiwan under Japanese Colonial Rule.” Japanese Studies 30(1): 81-110. Cadava, Eduardo (1997). Words of Light: Theses on the Photography of History. Princeton: Princeton University Press. Edwards, Elizabeth ed. (1992). 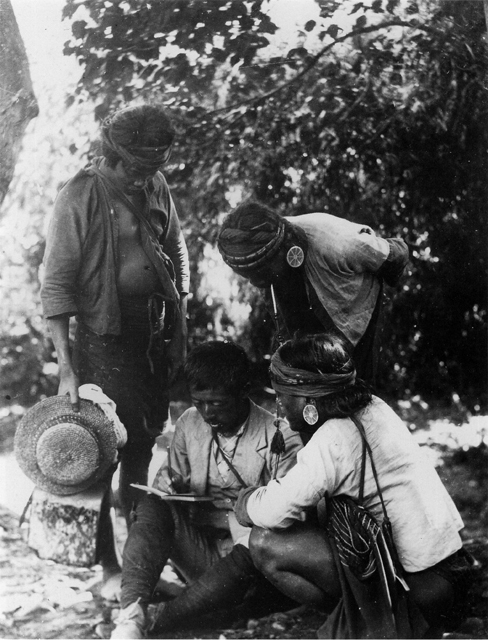 Anthropology and Photography, 1860-1920. New Haven and London: Yale University Press in Association with The Royal Anthropological Institute. Edwards, Elizabeth (2015). 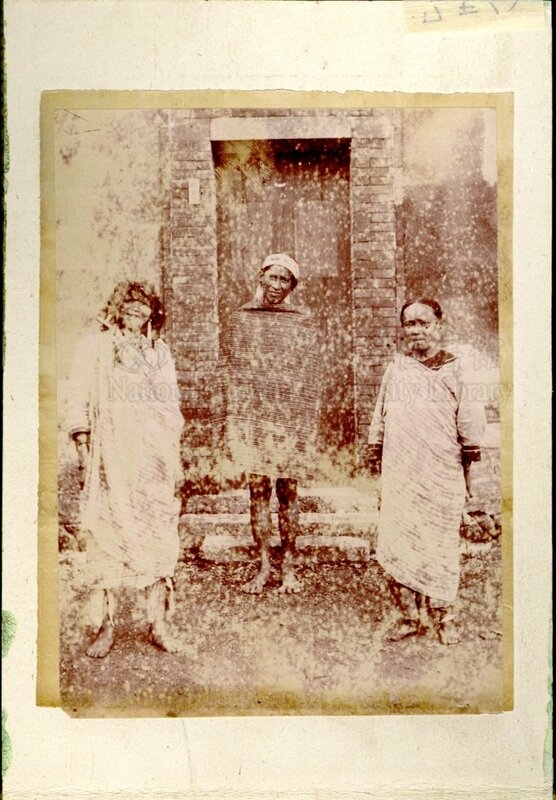 “Anthropology and Photography: A Long History of Knowledge and Affect.” Photographies, 8(3): 235-252. 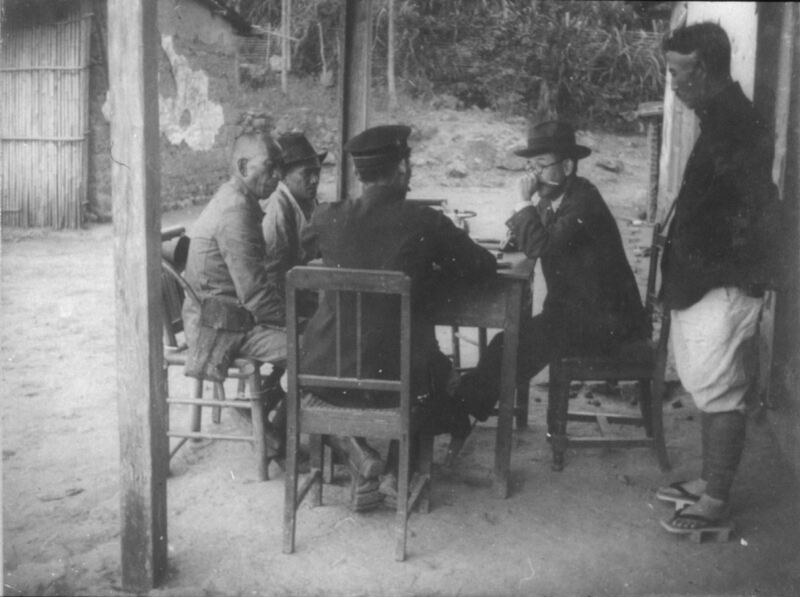 Government of Formosa (1911). 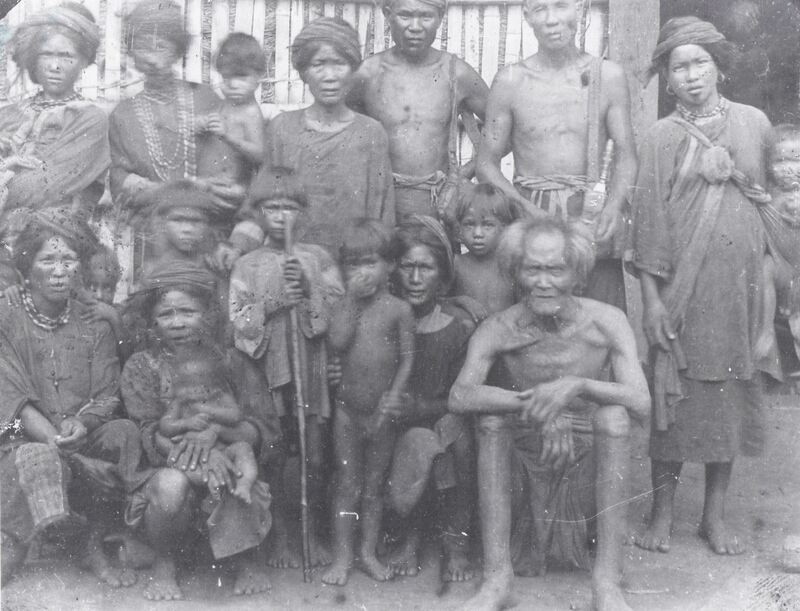 Report on the Control of the Aborigines in Formosa. Taihoku: Bureau of Aboriginal Affairs, Government of Formosa. Green, David (1984). “Classified Subjects: Photography and Anthropology: The Technology of Power.” Ten-8 14: 30-37. ——(1985). “Veins of Resemblance: Photography and Eugenics.” The Oxford Art Journal7(2): 3-16, 1985. Hayes, Patricia, Jeremy Silvester and Wolfram Hartman (2002). “‘Picturing the Past’ in Namibia: The Visual Archive and Its Energies,” in Carolyn Hamilton, Vern Harris, Jane Taylor, Michele Pickover, Graeme Reid and Razia Saleh ed. Refiguring the Archive. Dordrecht: Kluwer Academic Publishers, 103-133. Kang Inhye (2016). 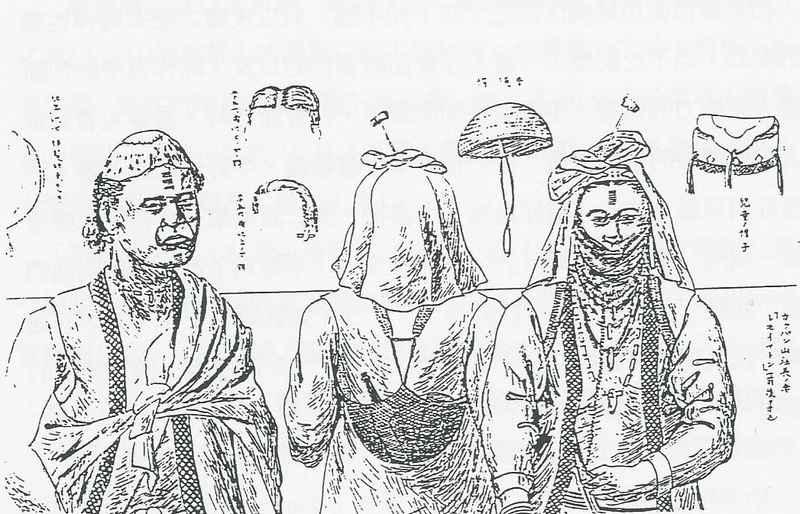 “Visual Technologies of Imperial Anthropology: Tsuboi Shogoro and Multiethnic Japanese Empire.” Positions 24(4): 761-787. Latour, Bruno (1986). “Visualisation and Cognition: Drawing Things Together.” Knowledge and Society: Studies in the Sociology of Culture and Present, 6 : 1-40. ——(1987). Science in Action: How to Follow Scientists and Engineers through Society. Cambridge, Massachusetts: Harvard University Press. Morton, Christopher and Elizabeth Edwards ed. (2009). Photography, Anthropology and History: Expanding the Frame. Surrey: Ashgate. Pai, Hyung II (2009 ). “Capturing Visions of Japan’s Prehistoric Past: Torri Ryuzo’s Field Photographs of ‘Primitive’ Races and Lost Civilizations (1896-1915),” in Jennifer Purtle and Hans Bjarne Thomson ed. Looking Modern: East Asia Visual Culture from Treaty Ports to World War II. Chicago: Center for the Art of East Asia Art Media Resources, 265-293. Pel, Peter (1994). 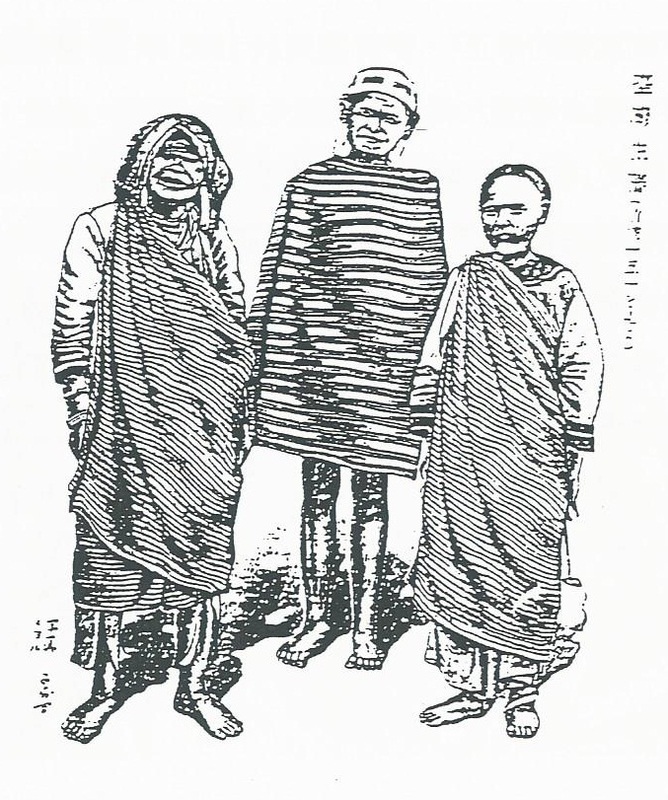 “The Construction of Ethnographic Occasions in Late Colonial Uluguru.”History and Anthropology 8, 1-4: 321-351. Pinney, Christopher (1997). Camera Indica: The Social Life of Indian Photographs. Chicago: The University of Chicago Press. ——(2008). The Coming of Photography in India. London: The British Library. ——(2011). Photography and Anthropology. London: Reaktion Books. Poole, Deborah (1997). Vision, Race and Modernity: A Visual Economy of the Andean Image World. Princeton, NJ: Princeton University Press. ——(2005). “An Excess of Description: Ethnography, Race, and Visual Technologies.” Annual Review of Anthropology 34: 159-179. Purtle, Jennifer and Hans Bjarne Thomson (2009). Looking Modern: East Asia Visual Culture from Treaty Ports to World War II. Chicago: Center for the Art of East Asia Art Media Resources. Smith, Lindsay (1998). The Politics of Focus: Women Children and Nineteenth-Century Photography. Manchester and New York: Manchester University Press, 2011. Tagg, John (1988). The Burden of Representation: Essays on Photographies and Histories. London: The MacMillan Press LTD..
Takekoshi, Yosaburo (1907). Japanese Rule in Formosa, tr. by George Braithwaite. London: Longman, Green, and Co..
Wong, Ka F. (2004). 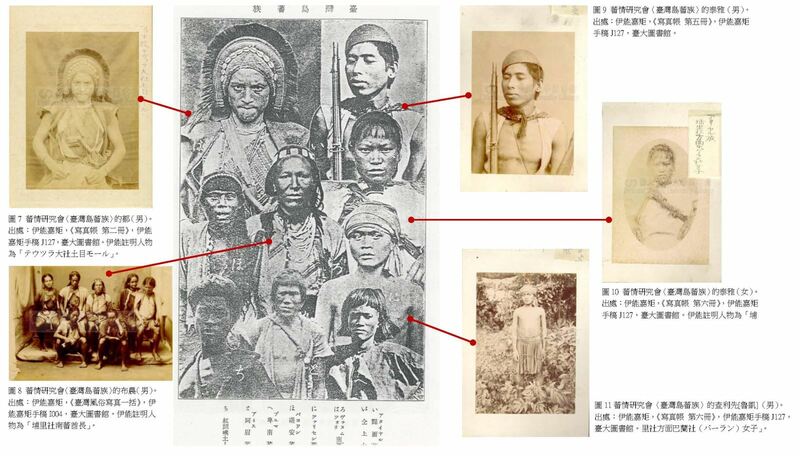 “Entanglements of Ethnographic Images: Tori Ryuzo’s Photographic Record of Taiwan Aborigines (1896-1900).” Japanese Studies 24(3): 283-299.